Our goal is to help give children an appreciation of our marine environment and teach them a range of skills such as teamwork, independent boat handling, navigation and rowing. At the end of the class students will understand basic navigation and sail themselves to Sheffield Island. We will have a contest to see who can identify the most marine species. This 2 week program is designed for older kids who know the basics of sailing and wish to be able to Captain an Ensign. This program includes all the skills taught in our Basic Keelboat Adult and Junior program, but does not include US Sailing certification. At the end of the class students will be able to reef, do a MOB drill in about 2 minutes. anchor, read a chart, understand navigation and rules of the road and much more. This course is taught in the afternoons from 1:30 to 4:30pm, with 23 hours of instruction over 8 days. There are two practice sessions without an instructor on the 2nd week, before which the students must have read the textbook and passed the US Sailing Basic Keelboat test. Typically the test is given on Monday afternoon, so the class will come in early and take the written test. 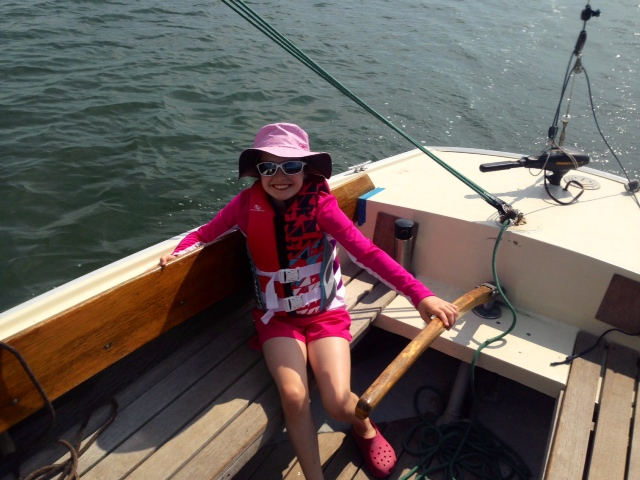 This 2 week program from 1:30 to 4:30pm is designed for older kids who know the basics of sailing and who would like to be US Sailing Certified to Captain an Ensign. 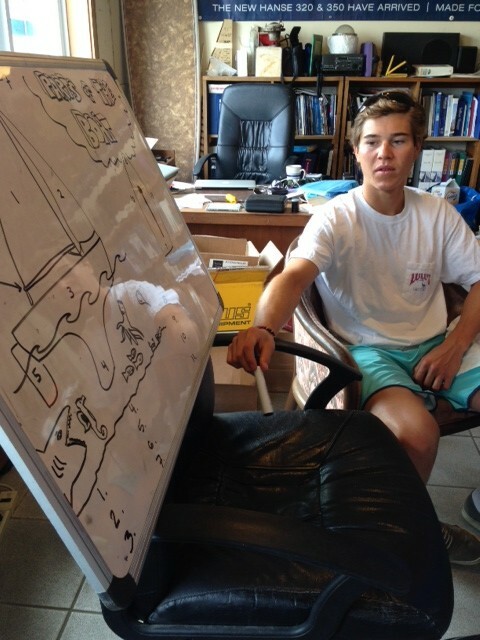 All the material covered in our adult Basic Keelboat (or Advanced Junior Ensign Program) is covered, including reefing and MOB drills. There is a final 2 hour checkout on the last friday for the US Sailing Certification. This course is taught in the afternoons from 1:30 to 4:30pm, with 25 hours of instruction over 9 days (including the 2 hour final check sail). It is an intense two weeks of learning and Sailing in our fleet of boats with our expert Instructors. Only kids who are interested in advancing to the point where they can take the Ensigns out as the captain should take this course. All students should be able to swim (although there is no swimming in our program) and must own and wear a comfortable, high quality Type 3 lifejacket, preferably made by Extrasport. Safety is all important. Our facility at Norwalk Cove Marina is in a safe, family-orientated area. Our boats are all unsinkable, with keels to prevent capsizing. We always have at least one USCG (US Coast Guard) licensed captain on hand. Note: These class run Monday thru Friday from 9:00 am -12:00 pm. Ages 6-13 years old for the Dories Camp. 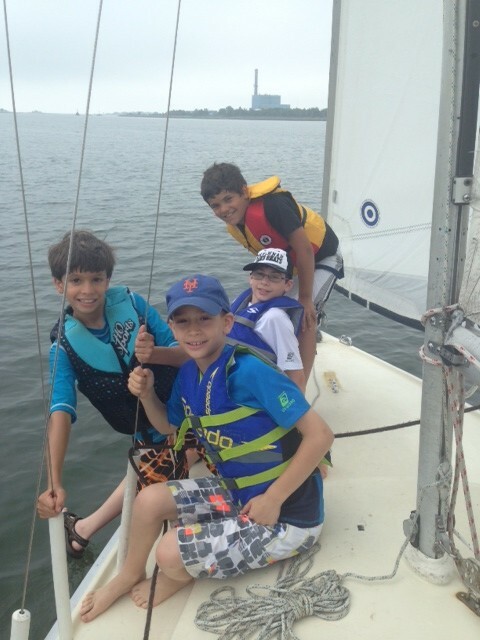 The Advanced Junior Ensign and Junior Basic Keelboat Programs are taught in the afternoons from 1:30 to 4:30 pm. Ages 14-17.